The Colonna Pevero Hotel is located in the heart of the famous Costa Smeralda, roughly three kilometres from Porto Cervo. The hotel premises cover some 50,000 m² of green landscape, set on a gently sloping hillside that goes down to the Golfo del Pevero. The Hotel Le Ginestre**** is positioned in a oasis of natural beauty, surrounded by Mediterranean parks and panoramic terraces with magnificent views of the countryside, the coastline and the famous Gulf of Pevero. With only 30km distance from Olbia Airport and The Port of Olbia Isola Bianca and just 1 km from Porto Cervo, the hotel Le Ginestre is the preferred place for your stay. Hotel Balocco is situated in a quiet oasis surrounded by mediterranean vegetation. Close to the most beautiful beaches and easily connected to many amenities and most popular restaurants and prestigeous clubs. Elegance with no ostentation and the perfect equilibrium between refined and simplicity. The elegant Grand Hotel Poltu Quatu ***** which belongs to "Small Luxury Hotels of the World"is located on the magnificent northeastern coast of Sardinia in the Poltu Quatu village a glamorous yet relaxing location set in the exclusive "Costa Smeralda". Close to Porto Cervo (3kms) and Baia Sardinia (2,5kms) and only 35kms from "Olbia - Costa Smeralda" international airport, the hotel is set in a ravishing surrounding and offers wonderful views over "La Maddalena" archipelago. Protected by mountains and overlooking the crystal waters of the Costa Smeralda, Poltu Quatu offers also the opportunity to stay at the Residence Poltu Quatu, taking advantage of a wide choice of luxury apartments for shorter or longer stays. The prestigious Porto Cervo’s Grand Hotel is located in the marvellous Baia di Cala Granu, only 150 m. from the sea, 2 km. from the very famous Piazzetta. It is a very recent accomplishment in Costa Smeralda. Located on the legendary Costa Smeralda, Domus di Pitrizza is a Mediterranean get-away with a unique charm: the ingenious architecture of the houses and the character of the landscape complement one another perfectly. The famous golf course Il Pevero is only a few kilometres away. Only seven private holiday villas, the summer residence of a family from Olbia, are located directly at the sea on a hill covered with pines. Only 15 km south of Olbia at the beach of Porto Taverna: dark blue, cristal clear water, white sand and the rock island of Tavolara in swimming distance. In the centre of the Costa Smeralda and close to Baia Sardinia, there is a water park for those wishing to enjoy the many slides and water games available. If you should be passing by Palau with children, it is worthwhile stopping off on your journey at the colourful children's playground in the harbour. Here you can buy traditional Sardinian hand-woven carpets, ceramics, gold and silver jewellery as well as wooden items. Everything sold by the I.S.O.L.A. 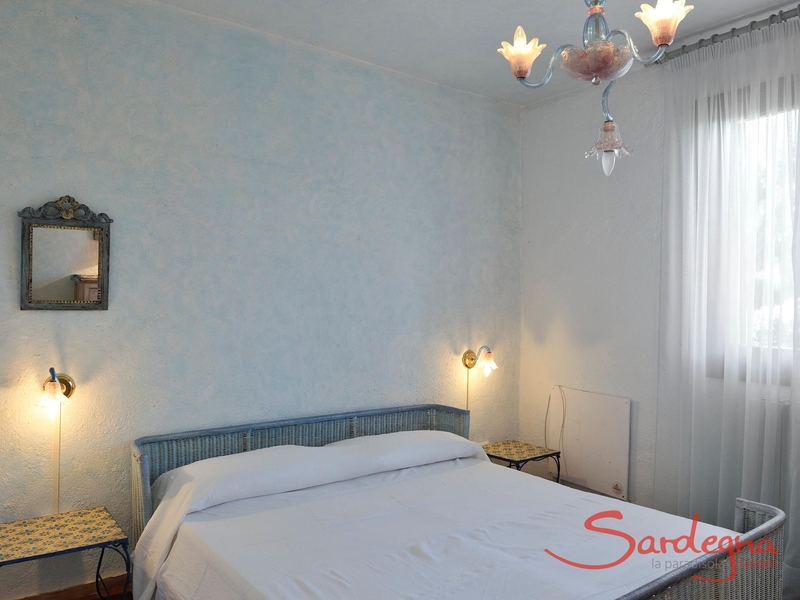 organization is guaranteed to be produced in Sardinia by Sardinian craftsmen. You can find their showroom in Arzachena. In this museum, visitors can admire a large collection of minerals and fossils from Sardinia, as well as from other places around the world. Mon-Fri from 9:00-13:00. Welcome to the home of the "Hero of Two Worlds'. This is his Garden of Eden, where he spent 25 years of his life. The peace that prevailed here allowed Garibaldi to think calmly and to prepare the great undertakings which were to change the face of the nation. His energetic spirit made the general one of the decisive figures of the Italian Risorgimento. For more than 20 years, these dance temples have been magical centres of attraction for the Costa Smeralda high society. These discotheques are directly opposite each other on the same street, and in midsummer, traffic regularly comes to a standstill here because of the swarming crowds. They are also open in winter, although things are somewhat more peaceful then. This lifestyle shrine belonging to Formula 1 manager Flavio Briatore is an elegant architectural mix blending elements of Mediterranean and oriental features. In the Billionaire, you can party to the early hours of the morning with lounge music, dancing and Italian haute cuisine. Nothing is impossible here: there is also a Japanese sushi chef who prepares delicious specialities for the evening's rich and beautiful guests. Ritual was born in 1970 and immediately became a reference point for the island's nightlife. A granite castle stands on a hillside at the doors of Baja Sardinia. An extraordinary work of art in harmony with the surrounding nature. Landscape and human work appear naturally interconnected, the Ritual seems, in fact, to rise spontaneously from the rock and surrounding vegetation. Today, the enchanted castle of Baja Sardinia, continues to be the undisputed protagonist of the summer nights of the coast; Every summer the Ritual offers a wide and varied program of evenings and international guests animate the cave until the early dawn. Phi Beach is an open air club, not far from Baja Sardinia. It is surrounded and protected by majestic rocks, formed by the sea and wind, a rarely charming and beautiful location. Its unrivaled position provides every day the most beautiful sunsets in the world. Sun, sea, entertainment from afternoons with music and great events and evenings in a friendly and exclusive atmosphere. 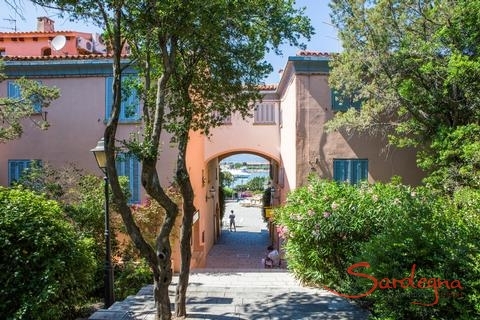 Porto Cervo is a lively centre of the Costa Smeralda, the exclusive holiday coast is famous for the hustle and bustle of the rich and the international jet set since Aga Khan discovered this wild landmark in the 1960s. Large car parks, elegant shops and sophisticated scenery determine the townscape. A stroll to the harbour to admire the most beautiful yachts of the Mediterranean is compulsory. The community's includes more than eighty kilometres of sea coast including the world-famous Costa Smeralda, rich with Mediterranean shrub, rocks modelled by nature and wonderful inlets and bays. In 1962, a small group of international entrepreneurs, headed by Prince Karim Aga Khan, set up the Costa Smeralda Consortium with the aim of developing tourism in the vast area of the Arzachena territory, comprising the present coastal band which stretches from Liscia Ruja to Liscia di Vacca. In this area a number of high-class structures were gradually built, attracting an elite kind of tourism. Visitors to the town will certainly be attracted by this clean and well cared for centre, full of green spaces and little squares. Its proximity to the Costa Smeralda means tourists can go shopping in the town centre not only for typical Sardinian products but also for luxury and sought-after goods. Archaeology: Lu Coddhu 'ecchju and Li Loghi giants’ tombs, Albucciu Nuraghe and Temple of Malchittu. The village is particularly well known for its coast, which is shaped by nature and unequalled around the world. The port of Palau is the only berth for the islands of the Maddalena archipelago. Life in the village centres round the harbour. If you are near Palau and with children, a stopover at the colourful children's playground at the port is worthwhile. If you love the tingling sensation of speed, then you should go for a few laps round this go-karting racetrack. The quality of the grapes is subject to the highest demands of wine production thanks to the constant development of know-how, personnel and technology. Red and white wines of international quality guarantee authenticity in the production, which is not to be found anywhere else. Only pure substances are used for wine production. The vineyards are supplied with water without the use of underground watering systems. The soil is permanently tested by the watering system and allows for optimal growth. This sandy beach can be found in the town of the same name, Liscia Ruja. Drive along the coastal road to Olbia. Turn left at the signpost and drive to the beach along a dirt road through a rocky, hilly landscape. Beach umbrellas, sun loungers, pedal boats and motorboats can be hired. Ideal for small children. 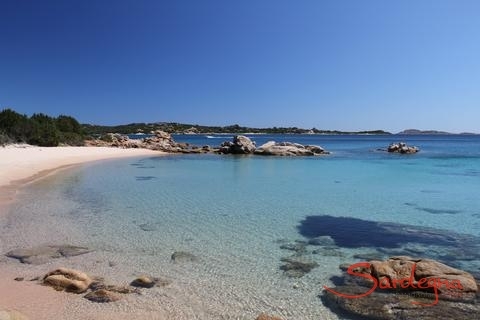 This small beach with crystal-clear waters is also located in Porto Cervo. It has coarse, light-coloured sand and pinkish granite rocks. From the centre of Porto Cervo, drive northwards on the Via Nibani until you get to the beach. The water is not very deep, making it ideal for small children. You will find this bay for swimming right in the heart of the Costa Smeralda, protected from the wind and with a view of the famous Cala di Volpe luxury hotel, an international meeting point for VIPs since the 1960s. If you can not do without your creature comforts, you will feel right at home here. Beach umbrellas and sun loungers can be hired. There are also bars and restaurants very close by. As described above, take the turn off for Cala di Volpe off the SP 94 heading towards Abbiadori. One hundred metres after the junction, turn right onto a dirt road and drive to the beach. 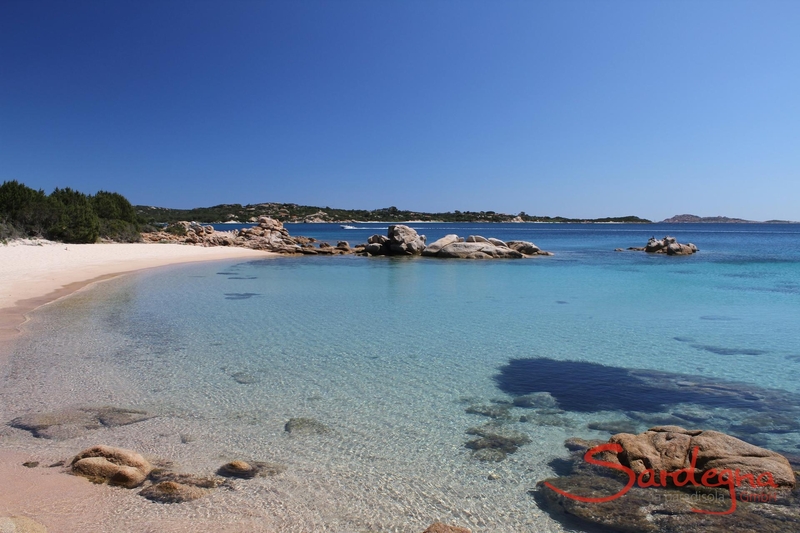 This beach was supposed to have been a special favourite of the founders of the Costa Smeralda, the Prince and Princess Karim Aga Khan IV. It is a fine sandy beach surrounded by pink-coloured granite rocks. Because of the shallow depth of the water, it is also suitable for small children. To get there, take the SP 59 until you reach the town of Abbiadori, then drive towards Cala di Volpe and Romazzino. After 2.4 km, just before Capriccioli, turn off left towards Romazzino. After a further 1.3 km, turn right, drive on for another 300 metres and then park in front of a barrier. Next, walk along the asphalt road for 250 metres and then turn right onto the footpath to the beach. The famous Romazzino beach lies in front of the luxury hotel of the same name. It is a white sandy beach with a view of Isola Mortorio. Directions are the same as for Capo Capaccia beach. Park in the large car park on the right in front of the Romazzino Hotel and walk the few metres to the beach. 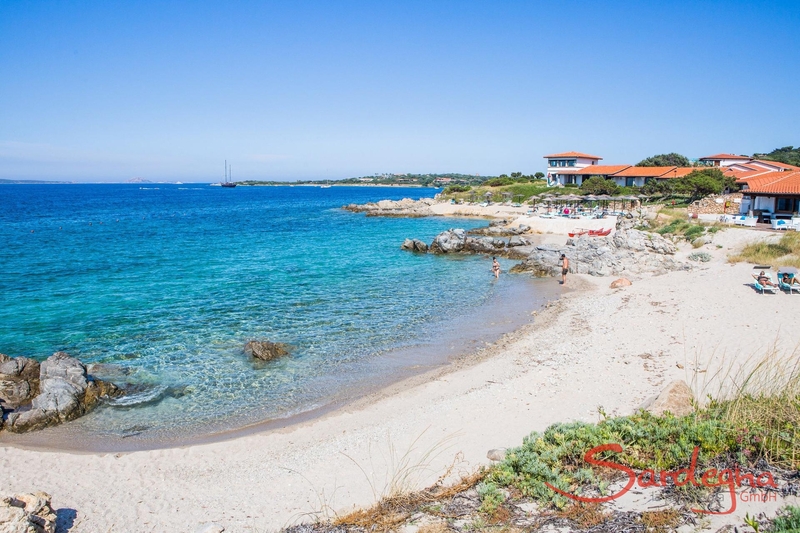 A gorgeous beach surrounded by wild natural scenery that can be found in the small town of Romazzino. Drive from Porto Cervo towards Arzachena on the SP 59. At the town of Abbiadori, turn off towards Cala di Volpe and Romazzino. The beach is only a few hundred metres behind Hotel Romazzino. Follow the signs on foot. Fine, white, sandy beach surrounded by Mediterranean vegetation and granite cliffs. From here, there is a direct view of the Isole Nibani, which gives this bay its name. Nibani is Sardinian and means sea gulls. In fact, many of them do often circle the small group of islands offshore. From Pevero beach, you drive to this bay over a dirt road. This small, sandy beach can be found at the western end of the Golfo del Pevero facing the Isole di Li Nibani and surrounded by gorse and rocks. The shallow depth of the water also makes it ideal for children. How to get there from the centre of Porto Cervo: drive in a southerly direction for some 1.5 km. You should walk the last 50 metres to the beach, down a dirt road. You look directly at the Isola dei Cappuccini from this fine sand and pebble beach. Beach umbrellas, sun loungers, pedal and motorboats can be hired on the beach. The beach is situated close to the famous Pitrizza luxury hotel and only some 1.5 km to the east of the Poltu Quatu marina. A small bathing bay, situated inside the town limits of Porto Cervo. A fine, white, sandy beach is framed by rocks, with Mediterranean vegetation in the background. You get here from the centre of Porto Cervo by taking the Via Granu to the car park of a residential complex, where you can park. Child-friendly, as the water is shallow. Beach umbrellas, sun loungers, pedal boats are for hire. A further example of the Costa Smeralda's architectural style is the famous Cala di Volpe 5-star hotel, which was finished in 1963. Here the architect Jacques Couëlle managed to recreate an oasis from "Thousand and One Nights', which is particularly impressive for the design and special layout of the hotel bedrooms - they all have a panoramic view of the sea, yet they are barely visible from outside. The hotel lies on a bay of the same name, Cala di Volpe, at the southern end of the Pevero Golf Club golf course. This Bronze Age holy temple site is situated inside an extensive archaeological site. Here one can also see several burial sites, as well as the Albucciu nuraghe. Nuraghi are stone towers that are thousands of years old, built out of boulders weighing many tons, and found exclusively on Sardinia. Drive from Arzachena towards Olbia on the SS 125. After about 600m, drive into the car park on the left hand side at "Nuraghe Albucciu" and then follow the signs on foot. The small church above the Porto Cervo marina was designed in 1969 by the architect Michele Busiri Vici. With its dazzling white plaster and conically shaped bell tower, it is a prime example of the architectural style of the Costa Smeralda. This style is a reinterpretation of Mediterranean architecture specially designed for the Costa Smeralda in perfect harmony with the coastal landscape. The access road is located above the harbour and is signposted. The giant tombs are the largest pre-Nuragic cult sites in Sardinia. Like the great rock tombs, they are monuments of the ancient culture of the Nuragic civilization, the Bonnanaro culture. Coddu Vecchiu is one of the most impressive giant tombs from the Nuraghi period (1800-1600 BC). The actual tomb is almost 11 metres long. The central trench plate, which is over 4 metres high, is the largest one found in Sardinia. From Arzachena take the SS 427 towards Sant'Antonio di Gallura-Calangianus. After about 3 km turn right towards Luogosanto, continue for 1.8 km and then turn left towards Capichera. After a few hundred metres, park the car and walk on the right hand side of the road to the excavation site. The overall structure of this almost 27 metre long mass grave is especially well preserved. Fifteen granite slabs were driven into the ground here several thousand years ago to form the boundary of this site to venerate the dead. Drive from Arzachena towards Bassacutena on the SP 115. After 4.5 km, turn left at the junction and drive some 2 km until you reach the excavations. 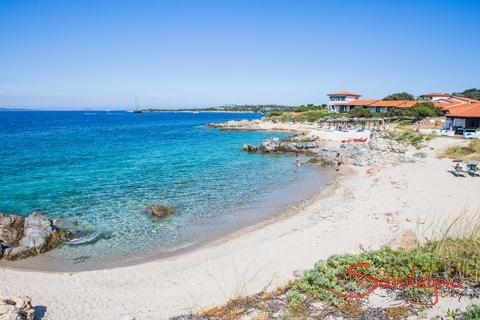 Capo d'Orso offers a fabulous panoramic view of the straits between the coast at Palau and the islands of La Maddalena, Caprera and Santo Stefano. The cape is named after its huge granite rocks shaped like a bear, the Roccia dell' Orso. Every year, thousands of visitors go on a pilgrimage to this rocky monument, formed by the wind and the weather. From Palau, follow the signs to the "Roccia dell’Orso". It is not recommended to climb up to the rock during the midday heat, as the climb is quite tiring. Children should be suitably keen on climbing, and remember to take enough to drink with you. This small island owes its fame to one of Italy's most important men who spent the last years of his life here: Giuseppe Garibaldi. He unified Italy in 1859. His old estate is a much-visited museum today. Cross over to the island of La Maddalena using the car ferry from Palau. Caprera is linked to La Maddalena island by a bridge. Then follow the signs to Garibaldi's house. The La Maddalena archipelago is situated in the north-east and consists of four major islands near the coast (Santo Stefano, Caprera, La Maddalena and Spargi) and three smaller ones, which lie north (Budelli, Razzoli and Santa Marina) and numerous small islets. You can visit La Maddalena and Caprera on your own or choose a guided tour. This market is always on Thursdays in this quaint little mountain village; local artists also offer their wares. This market always takes place on Wednesdays. There is a nice atmosphere in the old town with a nice view. This market takes place on Fridays and is especially good for buying Sardinian handicrafts. The food is a bit overpriced. Sardinian cuisine in a rustic atmosphere in a higher price range. Located at the entrance to Cannigione coming from Olbia, on the left hand side. This tennis club is in the centre of Porto Cervo. Five tennis courts tempt you to play a match, and if you want to buy a new tennis outfit in a hurry, then you will definitely find something suitable in the Sport Boutique. This yacht club's clubhouse is one of the most exclusive places in the world. It boasts an impressive terrace with wonderful views over the whole harbour. The swimming base in the Poltu Quatu harbour is a platform used by the diving excursions that start in the morning in their well equipped rubber dinghies. This boat rental is located in the Port dell'Orso in Poltu Quatu, between Liscia di Vacca and Baia Sardinia. It fits harmoniously into the natural estuary. You can also visit La Maddalena and Caprera on your own (ferry departs hourly from the port in Palau) or choose a guided discovery trip. Traditional Sardinian cuisine and very good stone oven pizzas are served in the large dining room. There is a children's play park right in front of the restaurant. Sardinian cuisine, sensible prices, friendly service. Coming from the north, it is on the left hand side of the road behind Porto Cervo. A shrine for gourmets that offers Sardinian specialties and classic cuisine and has upmarket prices to match. 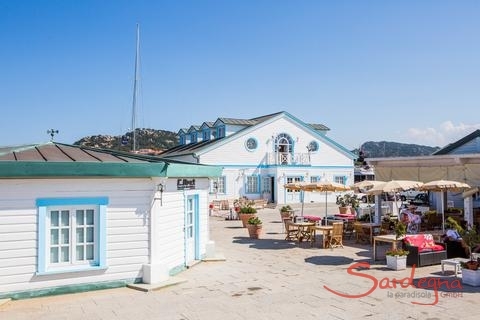 A restaurant specializing in fish in a superb location with sea views from the terrace. The "Tomato" is not just a culinary recommendation for its prices, which are reasonable for the Costa Smeralda. On the SP59 between Liscia di Vacca and Porto Cervo. Here you can have breakfast or an ice cream, take away an informal lunch, drink delicious aperitifs or have dinner. They specialise in fish, but there are also meat dishes and stone oven pizzas available. An internationally famous 18-hole golf course. (72), 6107m located near the luxurious Hotel Cala di Volpe on the Capriccoli peninsula in a setting that leaves you breathless. In northern Sardinia, nearly every small town a supermarket belonging to the Dettori Market chain. They always have a good selection, and most have a counter for fresh meat, sausages and sometimes fish. In the small town of Abbiadori, one is located only a couple hundred metres away from the Pevero golf course. Open all year round. Near the Polto Quatu marina. Only open during the holiday season. There are precisely three Dettori Markets here; one of them is open all year round and the other two in summer. They can all be found in the Via Nazionale, in the town centre. There is surfboard and kite rental on many of the Costa Smeralda's beaches during the summer months. Porto Pollo, to the west of Palau, is an absolute must for any surfer. There is windsurf hire on the Isola dei Gabbiani. The Orsodive diving centre is about 2.5 km from Porto Cervo, in the Poltu Quatu marina. 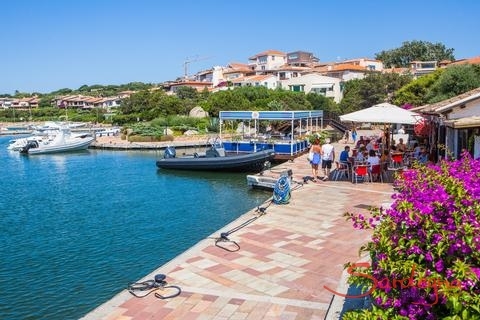 This harbour can be found between Liscia di Vacca and Baia Sardinia and fits in harmoniously with the natural environment of its bay. A holiday dream villa with stunning ocean view. This picturesque house is in the northest of Sardinia on the costa Smeralda not far from the charming sand and crag coves around Porto Rotondo, in the middle of a typical Sardinian landscape of shrubs and rocks, virgin and at the same time archaic. From the magnificent roof terrace you can see the torquoise-blue sea and the famous coves of the northern coast of Sardinia. The nearby beach, Punta Asfodeli, only a few minutes away by car, invites to undisturbed scuba diving or swimming. Beautiful ceramics from all over the world, lovingly collected by the owners living in New York and Spain, gives the house a distinctive personal touch. The centrepiece is the shady roofed terrace around the stone barbecue designed by the owner, with a view over hibiscus shrubs, fan palms and Sardinian brushland, a place to dream and reflect, or for a pleasant get-together with family and friends. The second terrace is on the roof deck overlooking the sea. We would like to point out that small children should not be left unattended on the roof terrace. with garden. It has 3 bedrooms, 2 bathrooms and a comfortable living room with stone seats around a fireplace and an integrated kitchen area. The house is very well equipped, with dishwasher and washing machine, heating to be paid for separately, and a water tank. The garden is looked after all year round by a gardener. Enjoy the video of Villa Michela. Porto Rotondo, meeting place for the rich and famous, is only 2 km. away. There you will find restaurants, shopping centres, the port, and every service you can think of. It is only around 20 minutes by car to the airport and the port of Olbia. A holiday dream villa with stunning ocean view.This picturesque house is in the northest of Sardinia on the costa Smeralda not far from the charming sand and crag coves around Porto Rotondo, in the middle of a typical Sardinian landscape of shrubs and rocks, virgin and at the same time archaic. From the magnificent roof terrace you can see the torquoise-blue sea and the famous coves of the northern coast of Sardinia. The nearby beach, Punta Asfodeli, only a few minutes away by car, invites to undisturbed scuba diving or swimming. A villa with a heartBeautiful ceramics from all over the world, lovingly collected by the owners living in New York and Spain, gives the house a distinctive personal touch. The centrepiece is the shady roofed terrace around the stone barbecue designed by the owner, with a view over hibiscus shrubs, fan palms and Sardinian brushland, a place to dream and reflect, or for a pleasant get-together with family and friends. The second terrace is on the roof deck overlooking the sea. We would like to point out that small children should not be left unattended on the roof terrace. Villa Michela is a detached housewith garden. It has 3 bedrooms, 2 bathrooms and a comfortable living room with stone seats around a fireplace and an integrated kitchen area. The house is very well equipped, with dishwasher and washing machine, heating to be paid for separately, and a water tank. The garden is looked after all year round by a gardener. Enjoy the video of Villa Michela.In the areaPorto Rotondo, meeting place for the rich and famous, is only 2 km. away. There you will find restaurants, shopping centres, the port, and every service you can think of. It is only around 20 minutes by car to the airport and the port of Olbia. Villa Oleandro is an idyllic holiday home near Porto Rotondo. The architecturally sophisticated villa, made of natural materials, is situated in a spectacular landscape of rocks and scrub. The famous coves of Sardinia's north coast are just a 10-minute drive away. Book now! The Residence Country Club of Porto Rotono is situated in one of Sardinia’s loveliest regions, where peace and quiet reign.